Data capture is only available on HALO Standard and Premium plans. In this article we'll explain how to collect information from guests during your event. Your app does not collect data from your guests unless the data capture feature is enabled. It is your responsibility to communicate how you plan to use guest information with your guests, which is something we make easy to do! Data capture can be enabled from your preset settings. Standard fields can also be enabled in-app, while premium (or custom) fields* must be enabled from your account online. *On Standard, the opt-in checkbox is considered a custom field and must be enabled and edited online. Standard data capture fields that you can collect include email address, first name, last name, phone number, zip code and date of birth. You can also set the title and a paragraph of text for legal or disclaimer purposes. Standard tier customers are allowed one custom data capture field in order to ask guests to opt-in. Enabling the "checkbox" will result in guests being asked a custom question (one that you write) about how their data will be used. Guests will be able to decide whether or not to tick the box in order to opt in. Text fields allow guests to type in an answer to a question. Checkboxes allow guests to check a box (or not) in response to a question. Required checkboxes must be checked by the guest in order for them to submit their data for your use. If a guest chooses not to check this box, you will not capture their information. Allow guests to opt out of data capture by enabling a couple send options in addition to the data capture fields you want to collect. When enabled, these send options will appear in the bottom left corner of the send screen. Data capture can be set to required by disabling all send options. 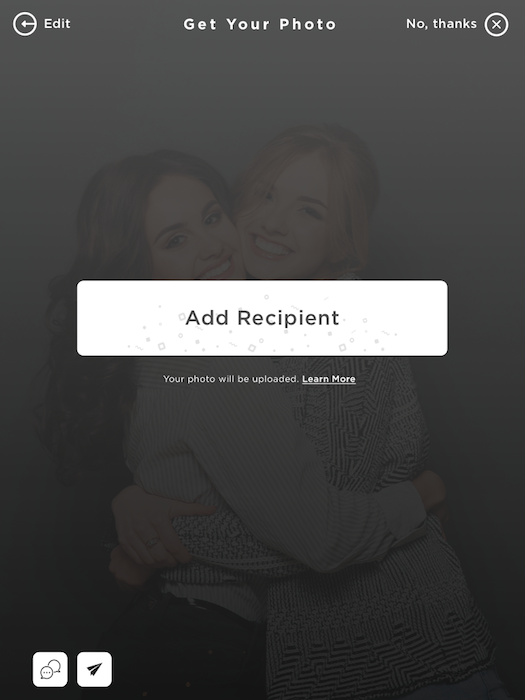 They'll automatically receive a text or email with a link to their photo by filling out your data capture form. Similar to data capture, the age gate is only available on standard and premium. Simple Booth also supports custom age gates to allow you to prompt guests to ensure they are a certain age before using the app. When enabled, guests will be asked to enter their birthdate before being able to use the booth. Where do I access my analytics and data? All the data capture becomes available in CSV format on your account at simplebooth.com/analytics after the event. Our MailChimp integration will automatically send the information you collect directly to your MailChimp account. The integration can be configured at the bottom of the data capture panel on your preset page.